As more and more of us become aware of the harmful side-effects of many of the chemicals we use in our homes for cleaning, we’re beginning to seek alternatives. Many of those alternatives could be as simple as using natural cleaning products of new ideas to use common household products for cleaning. However, for most of us, natural cleaning is a bit of a dark spot. It’s not very obvious what’s in our products that’s harming us and how we can make changes to avoid those chemicals. Some of the top-selling daily products are the most dirty and toxic: Lysol Antibacterial Spray, which ads encourage parents to spray wherever children play, contains denatured ethanol (which can cause central nervous system depression) and alkyl dimethyl benzyl ammonium chloride, a known pesticide. Most glass cleaners contain glycol ethers that have been shown to cause reproductive effects if exposed to high enough levels. Pledge contains silicones, butane gas, and propane. All, while good at cutting through gunk, are bonified VOCs. Most air fresheners contain formaldehyde (which is highly toxic and is a known carcinogen) and phenol (a delightful chemical that can cause cold sweats, convulsions, circulatory collapse, coma, and even death). Well then, what is a body to do? How can you really tell what’s safe and what’s not when you’re at the store? Unfortunately, you can’t. There is no “USDA Organic” equivalent for cleaning supplies, so manufacturers can stick almost any label they want on their products. Just because something is labelled a certain way doesn’t mean it’s environmentally friendly or safe for your kids. However, you can take matters in to your own hands and user the internet as a research tool. Much of the information is readily available, and a simple search for any of the ingredients you see on a cleaning product label will turn up lots of useful information. 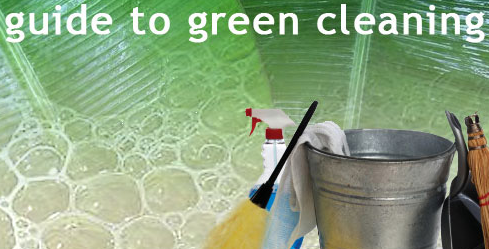 For more recommendations on clean products, check out the bottom of the post on Inhabitat. Happy, healthy cleaning! They sell high-quality environmentally friendly products that are natural, safe, effective AND affordable!